Last, to last night, a filmmaker friend of mine informed me that he was contemplating suicide. No, he hasn’t killed himself yet! And no this is not a joke. There have been incidents of drunk driving and crashing and dying, heart attacks and deaths in the 30’s and, contemplation of more suicides; some succeeding some not. Another filmmaker spoke about his frustrations to get his second film (the first one is fairly known) on floor since the last 5 years- the system was not in place, the infrastructure doesn’t give much space to an independent film, the filmmakers don’t help each other or come together to fight the system and there are a million slips between the cup and the lip. He was thinking of moving to America; that would be easier- moving to a new country, starting from scratch than putting his hours in India. So you start building things in this city; working as an assistant director or a writer; nurturing the dream to direct your film; since you have already traveled a certain distance, the personal life is put on hold; also the monies have to be in place to start a family; also the frame of mind has to be right. By the time you are still trying to get the film together, your partner gets frustrated and finds another partner; your family just leaves you to do your thing; your friends who are earning millions working in a high-end MNC make you think about your choice. But you are adamant on telling your story! And that is why you are a filmmaker; it needs resilience, perseverance and most of all patience. But, you are not just fighting your story, you are fighting a much bigger monster, and most of the time you cannot fight him alone! Slowly the frustration starts creeping in because things are taking their own time. The honest story that you wanted to tell, starts becoming clever, manipulative and formulaic. The reason it was becoming so was because it was a reflection of what you were becoming; while trying to reach the door. Heard of the quote- in the process of fighting the monster, don’t end up becoming one! But the monster was not letting you reach the door, forget about knocking and breaking it. Slowly your life becomes small. You become scared of people. You want to be in your world, in your room with those two friends whom you feel you can trust. You don’t share numbers or contacts of people you could have. You become insecure that your fellow filmmaker will move ahead of you! You start thinking it is all about using people. And of course, you don’t want to get used. And as one of my filmmaker friend pointed out- filmmakers don’t help each other in India. “Most people are deeply scripted in what I call the Scarcity Mentality. They see life as having only so much, as though there was only one pie out there. And if someone were to get a big piece of the pie, it would mean less for everybody else. “The Abundance Mentality, on the other hand, flows out of a deep inner sense of personal worth and security. It is the paradigm that there is plenty out there and enough to spare for everybody. It results in sharing of prestige, of recognition, of profits, of decision making. It opens possibilities, options, alternatives, and creativity. Scarce mindset makes your life myopic. And life functions in direct proportion to your mindset. And since your life state shrinks, all you can think of is how to end it! There were only two people who stood up to change the system- RamGopal Verma and Anurag Kashyap; who understood what could possibly be the future if it was not transformed. They mentored and brought new talent to the forefront; because they understood how important it was to fight the monster; because they understood how important it was to challenge the system. Wish we had more mentors who had the courage to channelise and create value for the larger good and see a bigger picture. My friend is just one example. There are so many out there, suffering, making themselves miserable, and devaluing their lives and people around them; to tell their story their way! Filmmaking is a tough profession. Filmmaking is a glorious profession. Spending years to tell that one story is a matter of faith; a faith that it has the potential to create ripples and transform something in some corner of the world, in some corner of someone’s heart, mind soul; it’s the best profession one can be in because there are no limitations; because you are breathing your imagination. 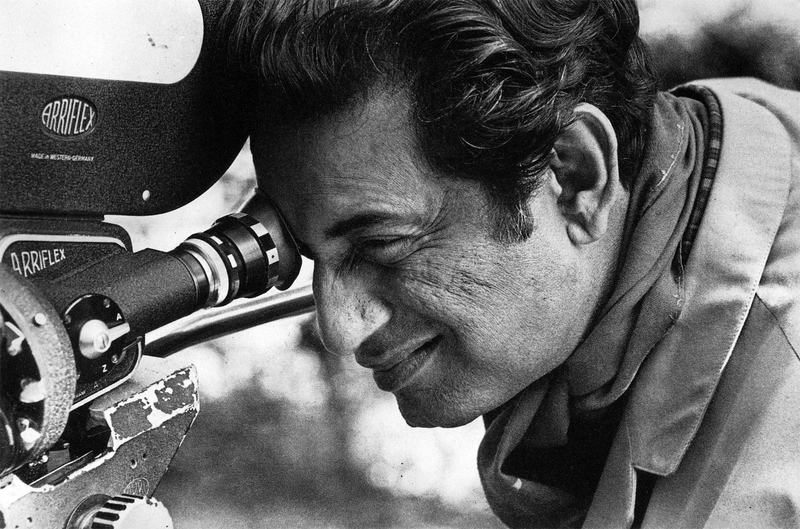 Filmmaking is not a profession where a talent should be pushed to the height of ending their lives. It is a profession where a talent needs to be nurtured and respected not pushed around and exploited just because someone is sitting on a chair with a bag full of coins and thinking they have the power to do anything and ask for anything. Most of the time I find myself reciting these lines by Bukowski, may it help all of us. IT MAYNOT BE MUCH LIGHT BUT IT BEATS THE DARKNESS.